Mighty Leaf is teaming up with author Katie Hafner to celebrate Motherhood! 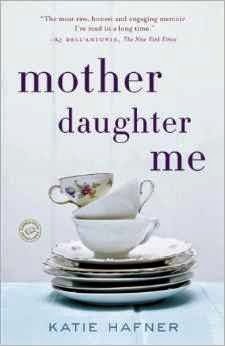 Pick up your copy of this moving memoir HERE at Amazon. Due to limited copies at the time, Mighty Leaf sent me this Teatop Brew Mug for review instead. That was perfect for me. I have been drinking tea alot lately, and trying to travel with my mason jar is quite tricky! The patented Teatop lid allows the perfect brew with no drips, no mess and a flawless steep. "The brewing system is simple: Fold the tea tag in half and thread through the underside of the slit on the lid. Once the brew time indicated on the tea tag is reached, just pull up on the string. This squeezes the oils of the Tea Pouch into the infused beverage below and pulls the spent Tea Pouch up to rest in a domed area. You never have to drink over-infused tea again. The body is crafted of double-walled stainless steel keeping your tea hot, while staying cool to the touch." A Taste of the Tropics makes it easy to escape with this selection of our whole leaf tea pouches. This gift set includes a 15 count Tea Pouch box each of: Green Tea Tropical, Vanilla Bean, and African Nectar. 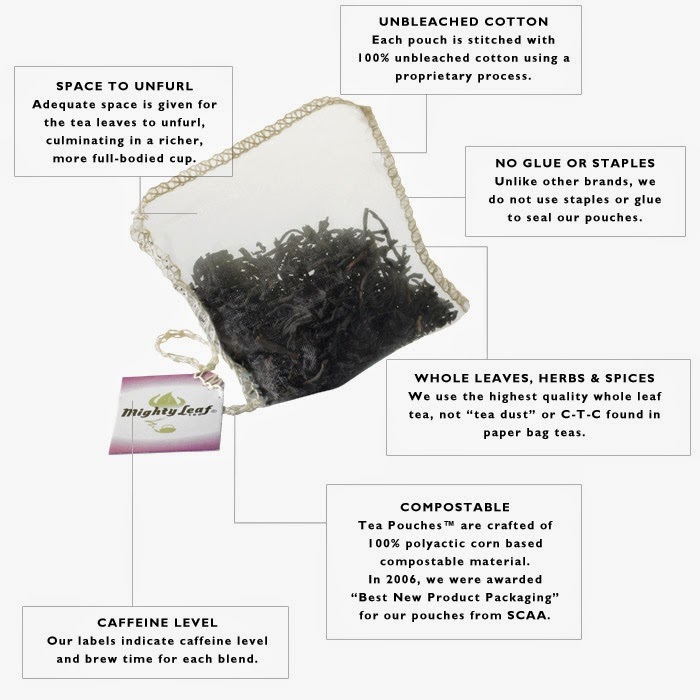 Tea Pouches are individually packaged in cello wrap. 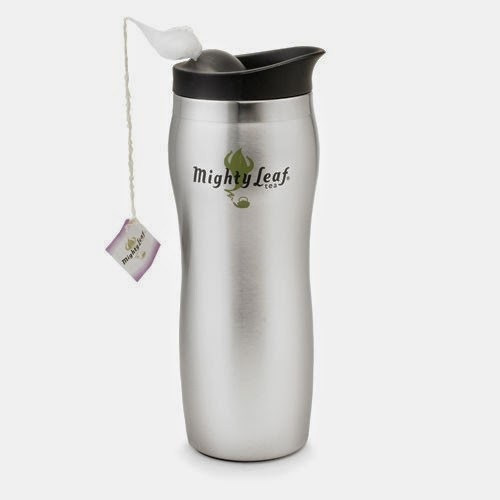 Imagine laying in a hammock on the beach, wind blowing in your hair and your mug of Mighty Leaf Tropical tea! How very relaxing. I have yet to find a Mighty Leaf Tea that I don't love! They are a fantastic blend of flavors. Enter to win this Mighty Leaf Taste of Tropics Sampler & the book "Mother Daughter Me". I like Homemade Peach Tea, will try Ginger Twist with it. I like the chocolate mint latte recipe and try it with the organic mint melange. Chocolate Green Tea Pound Cake made with Mighty Leaf Matcha green tea. My favorite is iced tea. I would like to try Organic Ginger Peach. Thanks for the chance to win! I make Earl Grey Tea cookies but I'd prefer to drink my mighty leaf tea. I'd love to try the ML Verbena Mint Organic. I would love to try the white tea. I love Green tea!